Also known as Cannanore, Kannur is popular for its rich cultural heritage. This extremely beautiful city, it is the perfect weekend getaway from Bangalore, away from any hustle-bustle of city life. Blessed with an amazing climate, the beach town of Kannur offers you a chance to have a refreshing vacation with your loved ones. An important port during the medieval as well as modern times, Kannur is sandwiched between the Lakshadweep Sea on the west and the Western Ghats on the east. Filled with picturesque beauty, the handloom cloth of Kannur has gained an excellent reputation all around the world. The largest city of the northern Malabar region, Kannur is known for its cultural, political and religious significance and so is referred to as “The Land of Loom and Lores”. Bangalore has two railway stations, Yesvantpur Junction (YPR) and Bangalore City Junction (SBC). You can board a train to Kannur from both the stations. The option is to rent a taxi or a car from Bangalore to Kannur. However, you can also get aboard state-run or private buses. A part of Arakkal Palace, Arakkal Museum is dedicated to the only Muslim royal family of Kerala, the Arakkals. 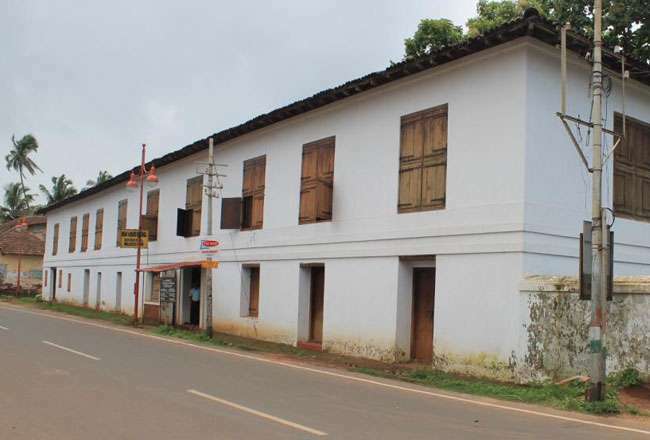 Around 3 km from Kannur, this museum, made in the Durbar Hall, houses articles of historical and regional importance of the Arakkal rulers such as maps, manuscripts and drawings. This museum is located close to a number of other attractions of the region. Just 5 km from Kannur, Chirakkal Museum of Folk Article showcases an excellent collection of agricultural and measuring instruments of Kerala, commercial articles traditional households stuff and antiques. Theyyam Gallery, the main highlight of the museum holds ornaments, weapons, costumes, headgears and pictures of Theyyam, traditional performing arts of Northern Malabar. Just 3 km westwards of Kannur town, Fort St. Angelo’s was constructed in 1505 by Don Francisco De Almeida, the first Portuguese Viceroy. In 1790, this fort was annexed by the British and re-vamped into a chief military station in Malabar. 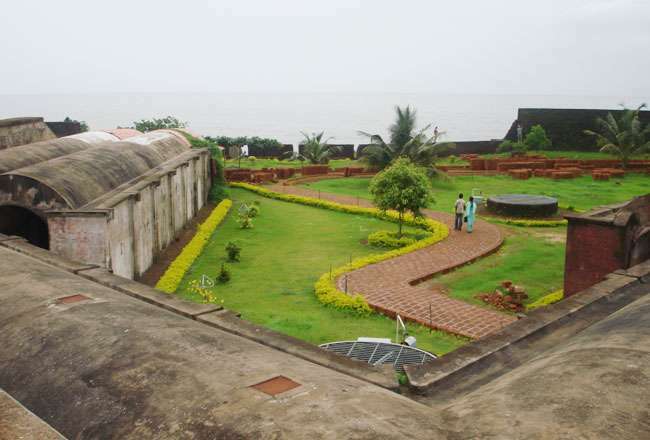 Facing the Arabian Sea, this fort offers some great views of Dharmadom Island and Moppila Bay. Situated 22 km from Kannur, the striking Thalassery Fort was built in 1708 by the East India Company as a military centre of the British troops. Placed close to the Thalasseri beach, the fort complex includes a collector’s mansion, a church, a cemetery and a lighthouse, worth-visiting. Have some memorable moments in the tranquil environment of the fort. One of the longest beaches in Kerala, Muzhappilangad beach is around 15 km away from Kannur. 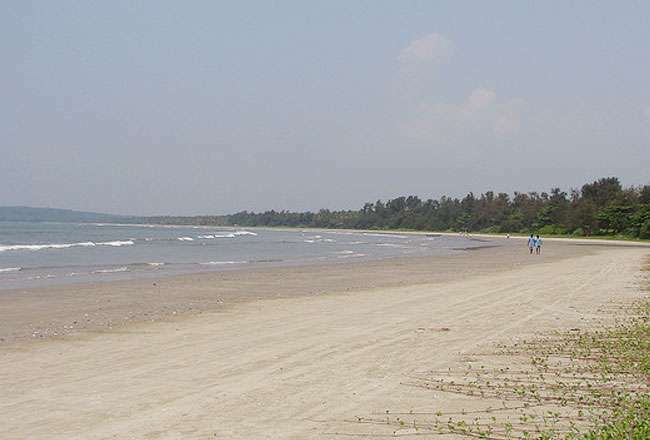 The only drive-in beach in the country, this beach is an amazing mix of tranquil yet an exciting ambiance. The best time to visit this beach is between the months of October and April. You can indulge in fun activities such as swimming or a leisure walk. Around 16 km from Kannur, Parassinikkadavu Snake Park, founded by Visha Chikitsa Kendra, is one of the most popular tourist attractions of the region. This snake park is home to around 150 arrays of snakes, including Pit Viper, Krait, Russel Viper, Spectacled Cobra, Kin Cobra, and non-poisonous snakes like pythons. This snake park also includes a research laboratory used for extracting venom from snakes. Just 2 km from the Kannur town, Payyambalam beach has a beautiful beach with crystal clear blue waters of the Arabian Sea. A pristine beach, it is an ideal place to spend some unforgettable moments along with loved ones while admiring the serene atmosphere and scenery, spread all around. Enjoy some great sunrise and sunset views. There is a well-manicured garden, nearby where you can organize a picnic..